When we imagine creating a flawless makeup look, imperfections are not a part of what we envision. The best way to cover and hide imperfections is with a Younique concealer. 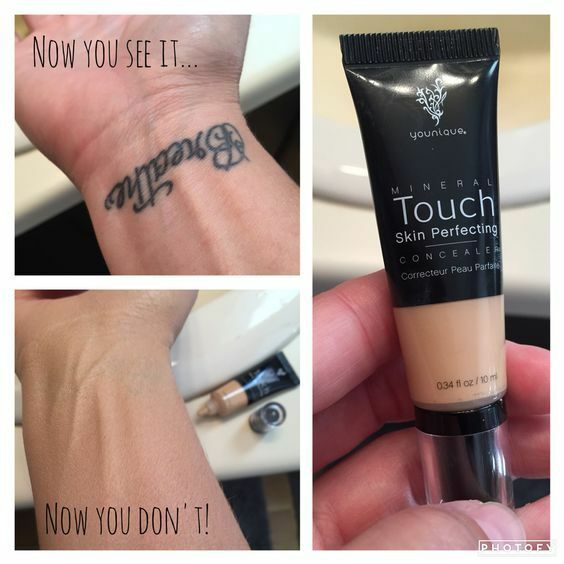 Younique Concealer is so powerful it can cover a tattoo but it is mainly recommended and used for covering imperfections on your face. It can cover things like pimples, scars, rosacea and more. Younique liquid concealer is also an excellent highlighter and can help to cover and conceal dark circles making your eyes look more awake, brighter and even younger. Younique concealer is long lasting, you only need a small spec to cover any area so it is a fantastic value for the price. Each $29 bottle should last you a very long time. 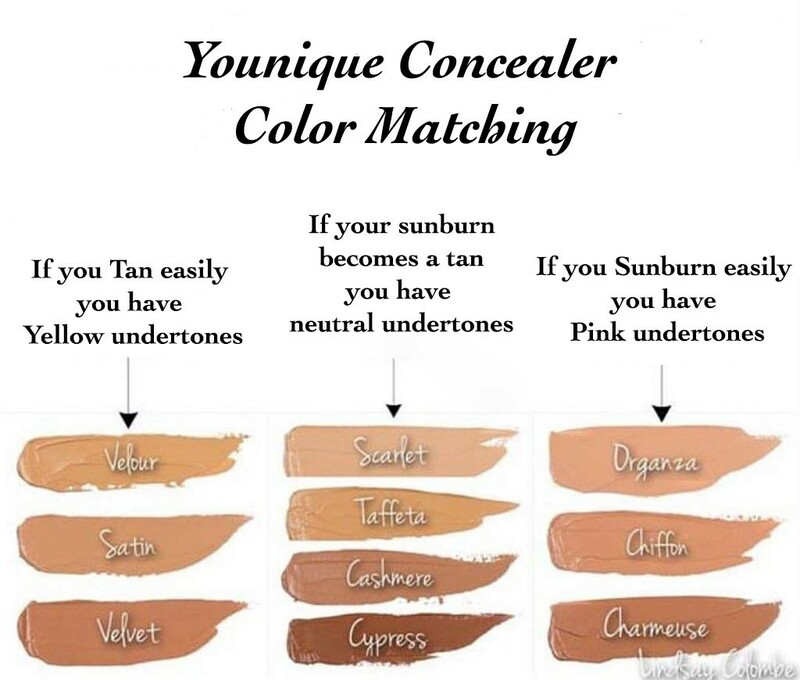 To find the correct shade match of Younique Concealer for your face check out my color matching guide below. 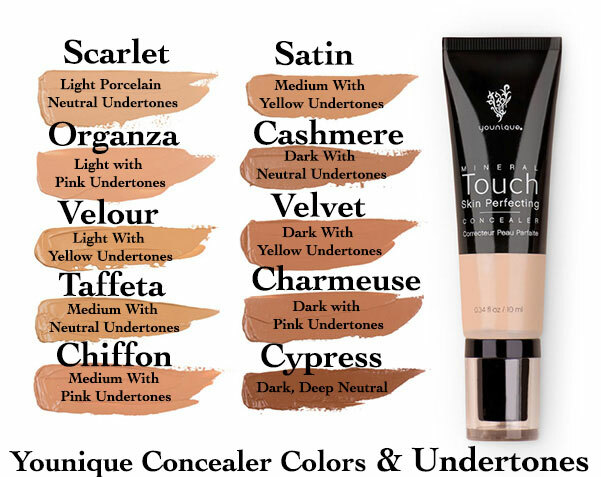 Here is a complete guide to matching your skin to the Younique Touch Liquid Concealer. Most people prefer an exact match to their skin tone and foundation color so they can cover blemishes and discoloration while others like to get a lighter color to highlight. 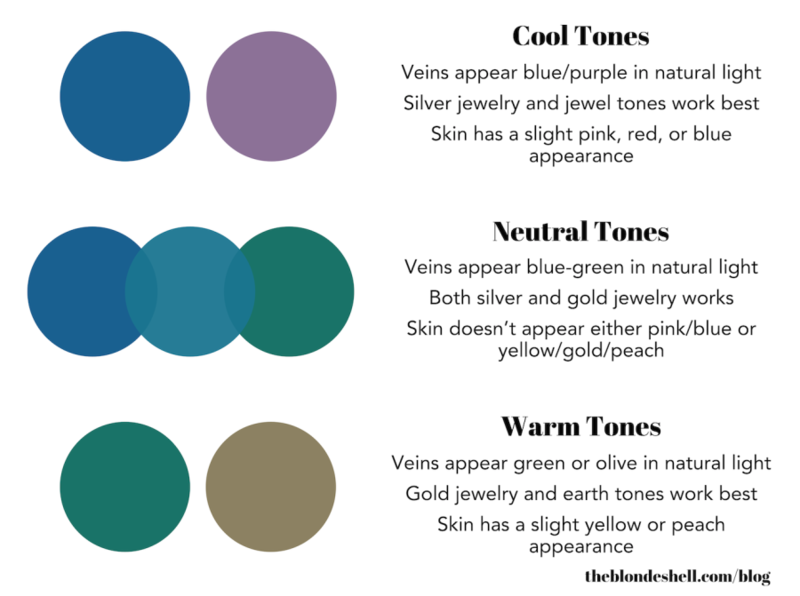 What you decide is ultimately dependent on your needs but this guide will help you with getting a perfect match to your skin tone. Now That You Have an Idea of Your Undertones Look At This Chart To Get an Even Better Idea Of Your Undertones! Younique Concealer meets all EU standards and is naturally based without dangerous, harmful or harsh chemicals.